Technical Threads supplies ASTM A193 B7 Ferry Bolts (12 points) for high-temperature and pressure service. 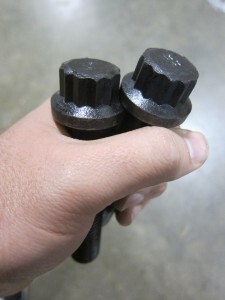 They are typically used in applications where a socket head was installed, but has been to switched to a ferry bolt because of the inherent design differences, which are often advantageous. ASTM A193 B7 Ferry Bolts (12 points) are often found in cylinders, actuators, pumps, casings, motor housing, turbines, and other applications that required a socket headed bolt rather than a hex head.